Somalia is not in a state of civil war, but it remains plagued by multiple source of violence that render much of the country very insecure. Politically-driven communal clashes have destabilized parts of northern Somalia and the Shabelle Valley; the jihadi group Al Shabaab continues to mount daily small scale attacks, and periodic major terrorist attacks, against the Federal Government of Somalia (FGS) and African Union peacekeeping forces (AMISOM); and criminal and political violence, including widespread use of assassinations, is widespread. Government security forces are generally not under effective command and control and operate as independent clan paramilitaries. 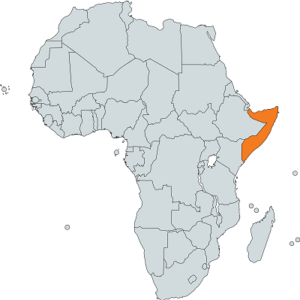 The FGS is extremely limited in capacity and has earned Somalia a ranking as the most corrupt country in the world. An indirect election in early 2017 produced a new President, Mohamed Abdullahi “Farjamo,” who has a reputation for promoting good governance and combatting corruption. This has raised hopes for improved governance capacity and accountability. Farmajo inherited a very difficult situation. The country in 2017 is suffering from a severe drought and food security emergency that could result in famine. At the same time, AMISOM forces are planning to withdraw starting in 2018-19. If AMISOM redeploys and security sector reform efforts do not succeed in rapidly improving the capacity and commitment of the Somali National Army, Al Shabaab will take full advantage and will reoccupy urban spaces it lost to AMISOM since 2011. Security sector reform will only be possible if kleptocractic behavior on the part of powerful political cartels in the capital is put to a halt. Soldiers and police who go unpaid for month because of diversion of salaries are prone to predatory behavior against civilians as well as collusion with Al Shabaab.